The NY Fire is a flat hose for supply of water. 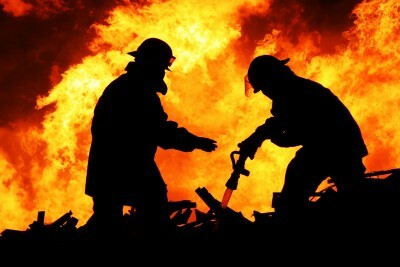 Special for firefighting. The NY Fire is a flat water discharge hose. 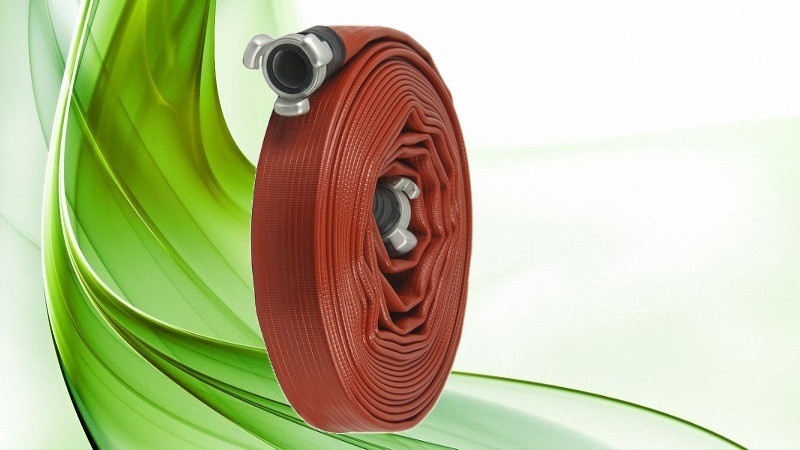 This hose withstands temperatures from -30 ° C minimum, and maximum of 50ºC. It is made to NFPA standards. The NY Fire is a hose for supply of water, especially designed for firefighters and fire fighting systems as well as for military use. 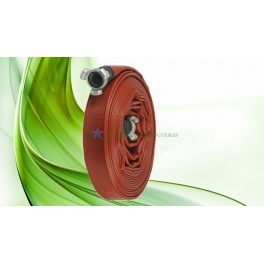 Interior: NY Fire hose has an inner tube of synthetic rubber resistant mixture of chemicals. Reinforcements: It owns textile polyester reinforcements. Exterior: The outer shell is made of extruded rubber ribbed red or yellow to better withstand wear and drag.